As of now, there are quite a few welding processes and types. Some of them are very rudimentary, but some of them are very advanced. However, for somebody working in a chop shop or looking to so some welding at home, there are four standard welding processes you need to know about: TIG, MIG, Stick and Arc Welding. If you’re a beginner and looking to learn the basics, you’ve come to the right place. Our little guide will take you through the processes unfolding behind all four of the welding types. So, without further ado, let’s get going! Keep reading below for more info regarding each welding type. Gas Metal Arc Welding (GMAW), most commonly known as MIG welding, is the process of continuously feeding a line of electrodes through a specialized “gun”. The electrode forms an arc with the metal you’re trying to weld and then melts, fusing the material together. The MIG welding process also involves a protective gas bubble that protects the weld from the ambient air and the components within it. It should also be said that, because a wire is being fed to the material, the pieces being welded together aren’t actually being fused, which provides you with the opportunity to weld different kinds of metals together. Naturally, because the MIG welder uses a “consumable” you will have to replace the electrode after some time. Also, the gas that forms the protective bubble needs to be replaced occasionally too. What Can MIG Welding Be Used For? So, what do you use this type of welding for? It should be said that MIG welding can be applied in various situations. A good MIG welder should be able to weld both thick and thin sheets of metal. Quality machines have a wide power output range and a gauge that will let you adjust the power, allowing you to approach softer material without fear of burning through it. At the same time they’re still powerful enough to weld thick steel pipes and provide a strong connection. 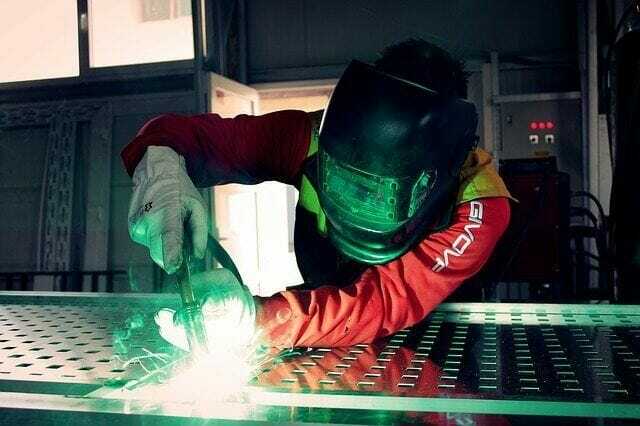 What Are The Main Advantages of MIG Welders? One of the biggest advantages of MIG welding, apart from it wide application, is that it is very simple for a newbie to learn. MIG welding is very straightforward because you only have one element you need to operate at any time. The gun provides you with all the material you need for welding, and it is easy enough to control because you only need to press the trigger to start and let it go to stop. Not only that, but this type of welding can also be used to produce aesthetically pleasing welds, making this type viable for sculpture making too. However, this welding type has a disadvantage too. There is a limitation on what materials can you use it on, and how thin or thick they can be. For example, if you intend to weld cast iron, you will find an MIG welder severely lacking in power. Also, pushing your machine to its absolute limits can damage it, so you need to be careful. On the other hand, if you’re dealing with really thin aluminum, the sheer power of the arc will burn right through the material. In addition, MIG welding cannot be performed on rusty or dirty materials, or in windy or rainy weather. 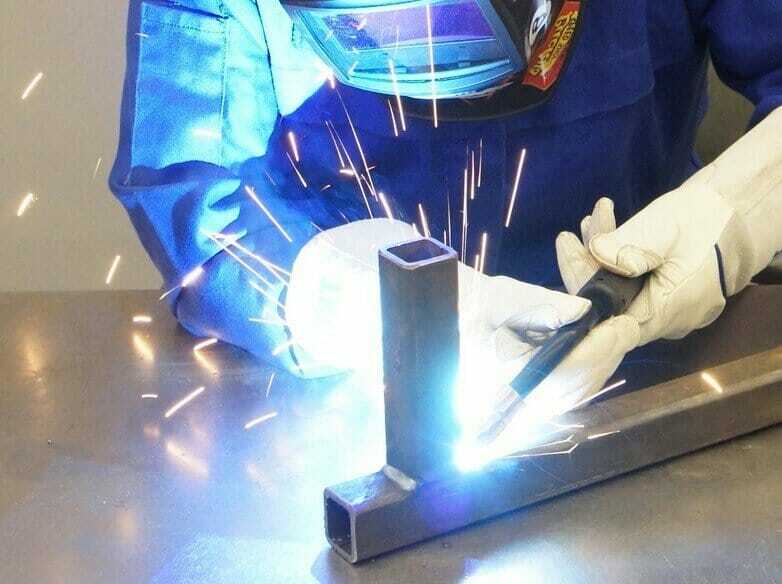 TIG, Heliarc or GTAW (Gas Tungsten Arc Welding) is a welding process where a non-consumable tungsten electrode is used to heat up the material and melt it, creating a weld puddle. Unlike GMAW, the weld is produced from a single metal type, because there is no filler metal used for the weld. However, you can add another rod to provide a filler material for you, so that the welding process can be applied to more materials or different metals at once. Just like GMAW, this welding process requires a gas bubble to protect the weld from contaminants. The gases used with TIG are usually helium or argon, whereas you would use carbon dioxide for MIG. Because there is no feeding involved, there is no need to replace the electrode, only refill the gas tank. What Can TIG Welding Be Used For? Just like GMAW, GTAW welding can also be applied to many materials. However, the thickness range of this welding type is more limited. Though you can weld both steel and aluminum with the same ease, the materials you will be welding are going to be thinner. The tungsten rod is much thinner than a stick rod, allowing you to make more precise but much thinner welds. That being said, TIG welding is the most aesthetically pleasing welding type or all. The thin rod and the outstanding precision of the weld make this welding type very useful for sculpture making and welds on motorbikes and car shells. This welding type is also the cleanest, and produces no splatter and no waste, making it a favorite among experienced welders. Now, here we said “experienced welders”, and we said this on purpose. TIG welding has a much steeper learning curve. TIG does not cater to beginners, and it takes much longer to master than MIG. That’s why beginners generally start off with MIG or acquire hybrid machines so that they can slowly build up their experience to TIG welding. Shielded Metal Arc Welding (SMAW) or stick welding is one of the oldest types of welding. It is very simplistic in how it works but produces exceptionally strong welds, and it can be used to weld the thickest of materials. The way stick welding works is through a single electrode that also provides most of the welding material. The electrode gets heated, then melts, but the intense heat melts the workpiece and welds the two parts together. The rod is also coated in flux, which creates a shield around the weld, protecting it from contamination. Stick welding uses a consumable rod, and this rod will need to be changed frequently as you continue to weld. What Can Stick Welding Be Used For? Stick welding is a type of arc welding, and is widely used in construction because of the strength of this weld. It's the way to go for thick materials, including cast iron - which can be tough or impossible for other welding types. But when you want to have two pieces of thick metal fused together, and to make sure the weld is going to last, this is the way to go. Like we said, stick welding produces exceptionally strong welds. This makes such a welding process useful for welding very thick materials. You can use this welding type on heavy steel constructions, for heavy repairs and pipes. Stick welding is the only welding type of the four that can be used even on cast iron. The intense heat created by the electrode cuts easily through veritable masses of iron and steel, fusing them together with ease and in mere moments. One of the major advantages of this type of welding is that the equipment for it is very cheap. CMT’s Pitbull Ultra-Portable Stick Welder costs just about $75, while the Forney 298 costs about twice that, which is, compared to around two thousand dollars for the Millermatic 211 MIG welder, virtually nothing. Lastly, stick welding can be used for welding in very unfavorable conditions, like heavy rain or strong wind. However, the biggest advantage of stick welding is also its biggest con. The heat generated while welding makes this style unusable for welding of thin materials because you will simply burn through the sheets. The style also requires more dedication and has a steeper learning curve, because it is quite difficult to strike an arc and not damage the material in the process. Lastly, this is the least aesthetically pleasing welding style. The process creates a lot of sparks and debris, and leaves slag over the weld, requiring you to do some finishing touches on it and to clean up after. At last, we come to our final welding type, arc, or flux-cored, welding. This welding type is very similar to MIG, in that both use a consumable wire that is being constantly fed to the weld. However, this is where the two begin to differ. In arc welding, the wire used has a flux core that immediately generates a gas shield around the weld, whereas you need an external gas supplement for MIG. There is also something known as dual-shielded welding, which uses another external gas supply to form a second shield for an even more secure weld. Naturally, since there is a consumable, you will have to replace it once in a while. However, unlike MIG, you don’t need to refill a gas tank if you don’t intend to use dual-shielded arc welding. What Can Arc Welding Be Used for? When using flux-cored welding style, you will want to use it with heavier and thicker materials. Flux-cored welding also creates a lot of heat, and you will want to use it where there is enough metal to withstand that much heat. This type is primarily used for heavy steel construction and erection, heavy repairs and heavy machinery and other such equipment. The greatest advantage of this welding style is that it has a very little cleanup, and has very high consumable efficiency. The flux-filled wire creates both the shield and provides welding material with very little debris, so very few materials are lost. Naturally, no welding style is universal, so flux-cored welding has some limitations too. For one, this particular type of welding is ill-suited for thinner materials. The machine produces high heat, and it can easily burn through the metal. The process also leaves a slag over the finished weld, so there will be some cleanup involved if you want a more aesthetically-pleasing weld. What Welding Types Produce the Strongest Welds? Seeing as all welding types have advantages and disadvantages, one can only speculate. However, if it’s pure strength that counts and the thickness of the material that can be welded, then stick welding is the winner. As we said, the stick is the only one capable of welding cast iron and works on both dirty materials and in harsh weather conditions. However, MIG can be applied on many metals of varying thickness, while TIG produces highest quality welds, especially when it comes to thin metals. What’s the Best Welder Type for a Beginner? MIG welding is no doubt the easiest type of welding to start out. Because of the high adjustability of the power output, and because of the clean welds that it produces, MIG stands alone as the fastest and the surest welding process for a beginner to master. Of course, if your budget provides, you can buy a hybrid welder, so you can try multiple styles at once, but MIG still remains the best option. There are actually two types of welding you can use for aluminum. Since aluminum is much softer than steel, it cannot endure a lot of heat. Therefore, you will need to reduce your power output. That being said, you can use MIG and TIG styles. Here, TIG will be better suited, because of the gentleness of the style, but MIG can weld such soft materials too because you have a wide amp range. The best welding type for steel depends on the type and on the thickness of steel. Again, we can say that MIG is the best candidate because it can adjust the best to the situations, but all other types can be used just as well. So we could say that for thick steel sheets, you can use stick and flux, and for mild and stainless you can use TIG and MIG in equal measure. To reiterate, our goal here is to explain the difference between the four standard types of welding. 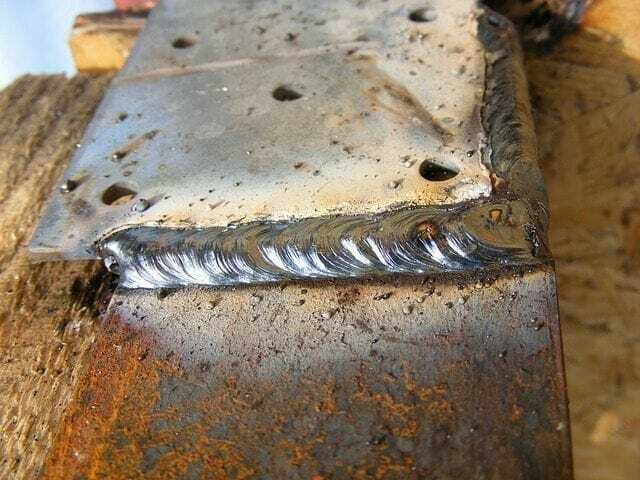 As we said, MIG is the most versatile and the easiest one to learn; TIG is the most aesthetically pleasing; stick and arc produce the strongest welds and can operate under less than desirable conditions. We also discussed the best beginner’s welder and the type that produces the strongest weld. After all of this, the choice is, of course, yours. Whether you want to start easy with an MIG welder, or you want to master game at the hardest difficulty with a TIG welder, you will go with the welder that interest you the most.